Over the course of a decade-long career that started when they were barely out of high school, force of nature guitarist-vocalist Marissa Paternoster and her formidable rhythm-section bandmates Jarrett Dougherty and King Mike progressed from playing punk-rock basements in and around New Brunswick, N.J., to opening huge shows for Garbage, the Dead Weather, and Arctic Monkeys. Paternoster made a Spin list of the 100 greatest guitarists of all time—albeit at No. 77—and after working with Steve Albini on their last studio album (2012’s aptly named Ugly), she and the boys indulged in a move that often signals that a group is running out of steam, releasing a live album (albeit a cool one recorded by Albini at Chicago’s Hideout). Was it time for Screaming Females to grow up, get a day job, and maybe tone the caterwauling down to a gentle roar? Hardly. Longtime fans may be surprised at first by the bigger, bolder, dare we say more polished sounds of Rose Mountain, which was produced by Matt Bayles, best known for working with hipster/nü-metal bands like Mastodon and the Sword. But as Paternoster said when the band appeared on Sound Opinions circa Ugly, she’s always admired more ambitious, arty groups like Radiohead and the Smashing Pumpkins, and big, bold melodies were always part of the mix, even if they were buried under layers of garage grunge and overpowered by the trio’s trademark ferocity. 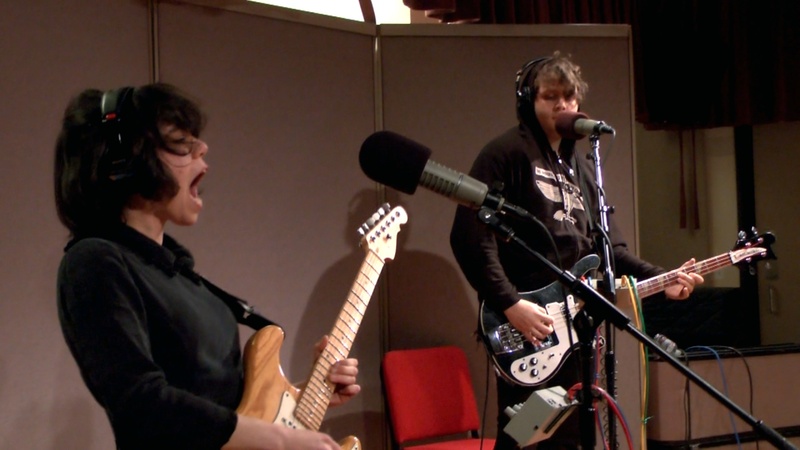 Well, Screamales are still raging—just listen to those barn-burning riffs in “Triumph” or “Empty Head”—but they’re also making the daring move of slowing down some of the rhythms, emphasizing the hooks, and pushing the often more melodic vocals much higher in the mix. Songs such as “Wishing Well,” “Broken Neck,” “Hopeless,” and “Rose Mountain” are no less potent for the polishing; indeed, they rank with some of the band’s best tunes ever. More importantly, Paternoster remains a singular and very welcome presence. “I’m nothing like the others,” she sings in the massive chorsus of the title track, and earnest and self-effacing as ever, you know she ain’t kidding.